The Harnett County 911 Center operates a sophisticated Computer Aided Dispatch System. This CAD system assists the Telecommunicators in Call Entry, 911 Call Tracing (Land and Cellular), Tracking the status of Law Enforcment, Fire/Rescue, and EMS Units as well as Mapping the location of calls. The 911 Center currently employs 26 full-time positions. Telecommunicators currently work 12 hour rotating shifts and are highly trained in handling 911 communications. All Telecommunicators are nationally certified in emergency medical dispatch, emergency police dispatch and emergency fire dispatch. 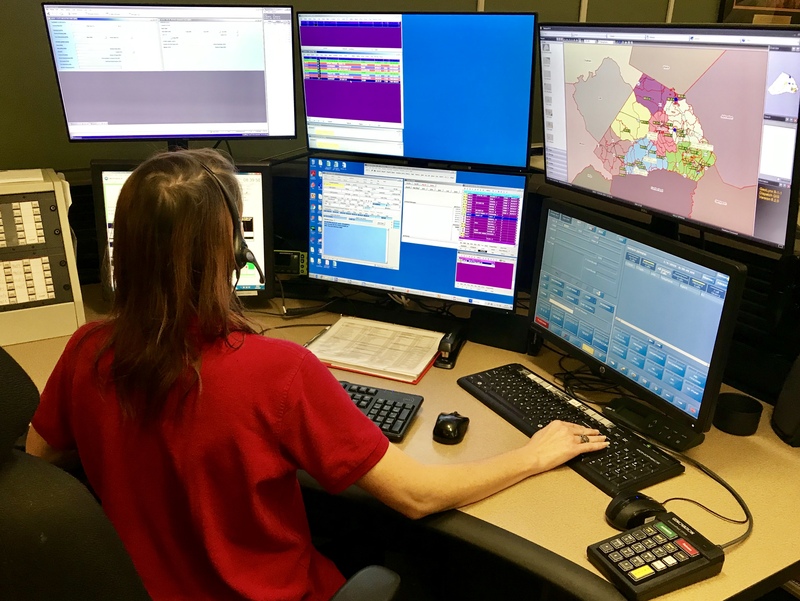 On average the 911 Center will dispatch 200 Law Enforcement Calls, 120 Fire/Rescue/EMS calls and receive countless calls for non-emergency assistance per day. If you have any question concerning the 911 center please use the following contacts.